This is another Tutorials in MS-DOS Series. In this post, we will learn to Create a new file and folder using DOS System. Before this, I would like to introduce you with Command Prompt. Prompt means “Assist by suggesting the next words of something forgotten or imperfectly learned.” MS DOS prompt also help you and interfaces with you. In above line C: (colon) is current drive , \ (backslash) is symbol for directory (folder), Users is directory name, \ (backslash) is directory symbol, John is name of folder and > (greater than) is command prompt symbol. This is the place, where you will write command. 1. How to create a File? 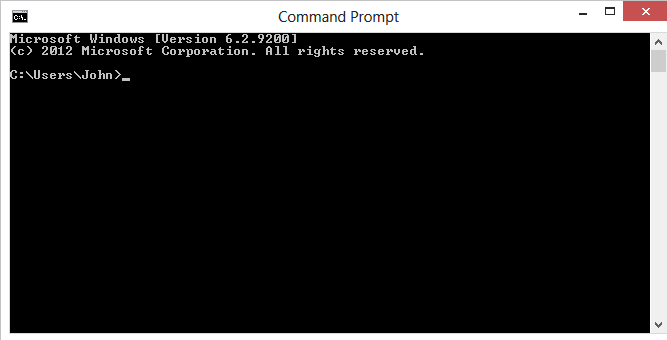 Use following commands to create a file in MS-DOS command prompt. Hi, My name is John. You are learning how to create a file in DOS mode. copy con – This command is used for creating new file. ↵ – This is Enter key. This executes command typed in prompt. Hi,.. .. .. in DOS mode. – This is text of your file. ^Z ↵ – This is Ctrl+Z key. This saves current file. Alternate for this is F6 key. 2. How to create Folder? Use following commands to create a folder (directory) in MS-DOS command prompt. ↵ – Enter Key to execute command.